You enter the starting date, the time of day that the employee starts and leaves work (eg 8:00 AM - 12:00 PM). The number of hours worked each day is calculated. 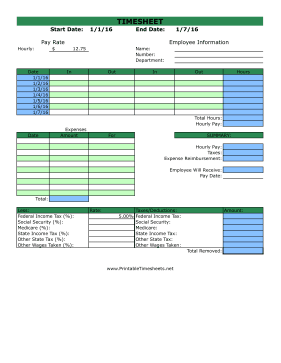 Includes calculations for taxes, expenses, and reimbursement.